Yesterday, we wrote about a new Airbus concept plane that resembled an alien spacecraft more than a modern aircraft. However, The Telegraph has posted this nifty video which has a guided tour through the concept. 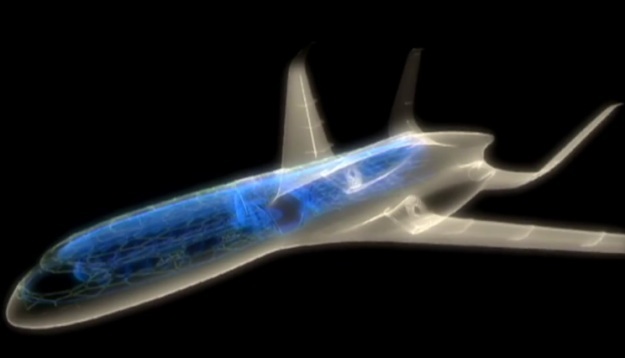 We’ve embedded the video below, which runs through some of the stranger features of how you may fly in 2050. For example, seats auto morph around your body, have built in acupuncture, and actually harvest the heat from your body as energy, much like those pleasant robots in The Matrix. Security may be a thing of the past too. To enter the plane, you’ll have to let it scan your hand for identification. It then guides you to your seat and deals with your luggage. We assume that there will be many new ways for the plane to mishandle you and your luggage, even without pesky human intervention. In the video below, Charlie Champion, head of engineering for Airbus, explains why he is so excited about this transparent plane. What he doesn’t explain is how much a ticket on this crazy computer generated flying machine will cost, if food will be edible, and if the onboard Wi-Fi will actually work. Auto morphing seats are nice, but I’ll settle for an iPad.